The Bentley Bentayga was a big surprise when it was first revealed at the 2015 Frankfurt Motor show. Many questioned why the legendary British manufacturer would enter the extremely competitive luxury SUV market with a remodelled Audi Q7. But to our amazement, the Bentley Bentayga was a shock success. 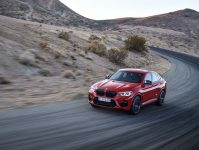 It is now a market leader, competing with the Range Rover and Porsche Cayenne. 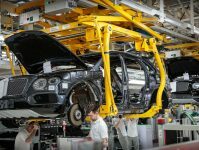 Now Bentley has decided to capitalise on that triumph with the new Bentayga V8. 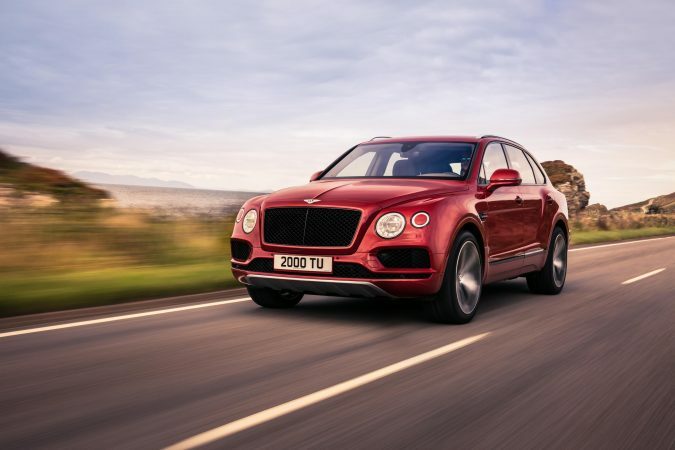 This ditches the Bentayga’s original twin turbo 6.0 litre W12, in favour of a much lighter and more fuel-efficient twin turbo 4.0 litre V8 engine. The new engine in the Bentley Bentayga V8 produces an impressive 542BHP and 770Nm of torque (down from the W12’s 600BHP and 900Nm) and drops the model’s kerb weight down 45KG to 2395KG. 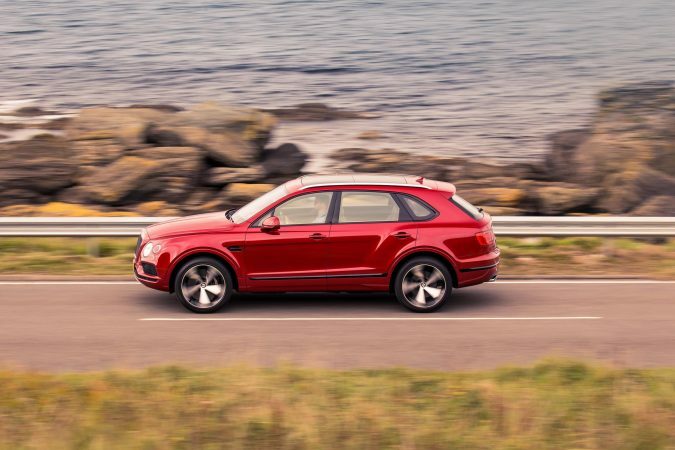 But one of the original aims of the Bentley Bentayga V8 was to improve efficiency over the W12, without losing the vehicle’s ability to accelerate with a mere glance of the throttle. The W12-engined Bentayga managed a frightening 21.6MPG on the combined cycle, whilst the new model manages an only slightly better 24.8MPG. The Bentley Bentayga V8 is only slightly slower than its W12 opposite number, with a top speed only 7MPH slower at 180MPH. The Bentayga V8 reaches 0-60 mph in just 4.4 seconds (W12 makes it in 4.0 seconds), which is an incredible time for the 2.4 tonne giant. 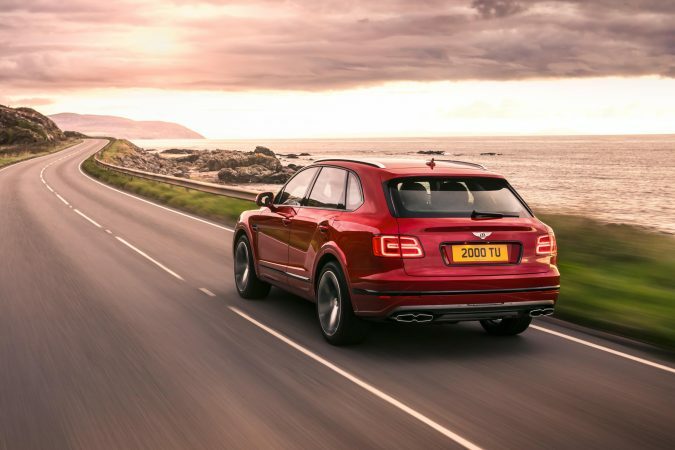 This means that the Bentayga V8 retains the mile-munching capacity of the W12 version. However, the Bentayga V8 is trounced by its stablemate, the V8 diesel. It beats both the petrol V8 and W12 on fuel economy, with a respectable 35.8MPG and is only 12MPH slower than the petrol V8. I don’t know who the Bentley Bentayga V8 is for. 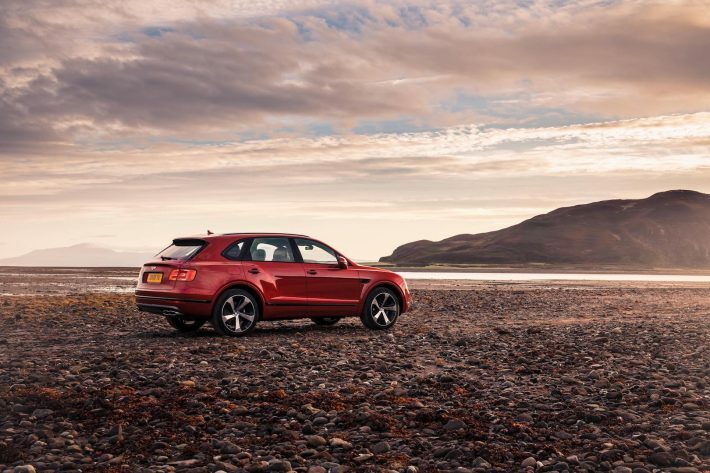 If you wanted a powerhouse SUV, suited to both on and off-road, you’d opt for the W12. 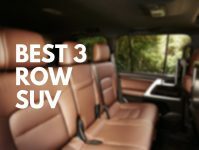 But, if you preferred the look of the plush SUV but wanted to be more fuel-efficient and save money, you’d choose the diesel. The petrol V8 is £400 more than the diesel at £136,200, with the W12 coming at £162,700. Nothing else differs on the new Bentayga, other than the engine. All newly released options are available on both the W12 and diesel version of the Bentayga. What do you think of the new Bentley Bentayga V8? Please let us know in the comments section.